Upon graduation from Azusa Pacific, you are automatically inducted into the APU alumni family. After you complete a minimum of 24 units at APU, and as long as you maintain good standing with the offices of Student Financial Services and Residence Life, you are considered an APU alumnus. As a member of the APU alumni family, you can take advantage of the following benefits and services. APU Connect is an online community that gives APU alumni a simple yet comprehensive way to find friends, make business connections, advance their careers, give back in creative ways, and strengthen ties with APU. Visit apuconnect.com and register using LinkedIn or Facebook to gain immediate access to a hub of activity, including the latest news, up-to-date personal and professional information, and opportunities for internships, mentorships, speaking engagements, and job searches and posts. All students who had active network accounts during the fall 2010 semester or attended anytime after that point are able to retain their APU NetID. Continued access to home.apu.edu. Easily request transcripts, view your academic record, and update your contact information. Continued access to your APU email address, using it as a professional email address for networking with contacts and staying informed about relevant news and events. Still having access to unlimited Google Drive storage. For more information, visit IMT’s FAQ page. Many car insurance companies including AAA will give their customers a discount on rates with proof of alumni association membership. We provide proof of membership free of charge. Fill out the verification form. With this ID card, alumni receive discounts to on-campus athletics events and theater productions, access to on-campus libraries, and an on-campus daily parking pass. Parking passes can be picked up from either the parking booth in Lot A or in the Campus Safety office in Adams Hall. The ID card can be purchased for $5. The alumni ID card gives alumni access to on-campus libraries, an on-campus parking pass, and discounts at APU theater and athletics events. Parking passes can be picked up from either the parking booth in Lot A or in the Campus Safety office in Adams Hall. Access to online library resources is not available to alumni at this time. The IMT Computer Store is an Authorized Apple Campus Store offering education-friendly pricing on Apple products to APU alumni—pricing that is accessible to APU alumni only through the IMT Computer Store. Available accessories include laptop cases, speakers, headphones, cables, video games, GoPros, and more. The APU community can also access free services such as workshops, basic troubleshooting, and a trade-in program. Shop online or stop by the IMT Computer Store on West Campus, at the west end of Heritage Court. If you subscribe to the IMT Computer Store newsletter, you will receive updates on sales, promotions, and special offers. We are pleased to offer all APU alumni free access to RightNow Media, which is like Netflix for the Church. Their large library of thousands of video sessions can be accessed anytime, anywhere. Their creative team films and produces RightNow Media Originals featuring teaching from respected teachers and pastors. They also distribute video resources produced by more than 100 other major Christian publishers and ministries. 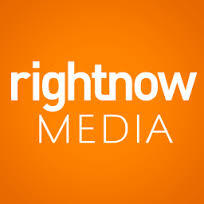 Disclaimer: RightNow Media is a Christian-based resource. It does, however, include some resources that may differ in perspective from APU’s Wesleyan Holiness tradition. Are you interested in pursuing a master’s or doctoral degree? 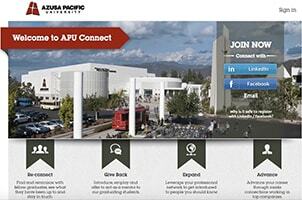 Select APU graduate programs offer a 10-15 percent discount to APU alumni. Contact the Graduate and Professional Center for program details today. Teachers! Would you like to feature APU in your classroom? Contact the Office of University Relations at (626) 815-4500 to receive an APU pennant, poster, pencils, and other items we have in stock for your classroom this year. Searching for a classmate? We can help! Submit our form with a note to your former classmate, and we will contact them on your behalf. Interested in the Fulbright Scholarship? Graduates of APU are eligible for free application advising. If interested, email Diane Guido, Ph.D., today. Alumni are invited to compete for $15,000 in our annual Zuventurez Business Plan Competition! Do you have an idea? Would you like to create a viable startup company? Learn more about Zuventurez. All morning chapels are streamed live. Missed a chapel? Watch archived chapels and special events online anytime. Do you have a prayer request? Email us at alumni@apu.edu, and a group of dedicated prayer warriors will pray specifically for your request.